Dental care has come a long way in just the last century, but the profession dates back thousands of years. In fact, simple oral hygiene tools we take for granted have origins in ancient civilization. The team at our Orland Park, IL restorative dentistry center would like to take a moment to consider the birth and evolution of the toothbrush. As you're about to read, it's a much older tool than you'd expect, and it has some very humble origins. Before there was the toothbrush, there was the chew stick. This simple tool dates back to around 3500 BC, and could be found in Ancient Egypt, Babylon, and different locations in Africa. A chew stick consists of a simple stick with a frayed end that sort of resembles bristles. Some check sticks featured a pointed opposite end to pick between the teeth. Around 1600 BC, there's evidence that people in China used branches from trees with fragrant oils as a way to improve their breath while using a chew stick. The first incarnation of the toothbrush can be traced back to Tang Dynasty China, dating between (619-907 AD). These early toothbrushes used bamboo or bone for handles. The bristles were made of coarse hairs taken from Siberian hogs. Some Chinese toothbrushes during this time also used horse hair for bristles. It would take the age of discovery and trade for the toothbrush to finally make its way to Europe. These toothbrushes from abroad made their way west some time in the 16th and 17th century. Using the toothbrush designs from China and abroad, Europeans would start to make their own toothbrushes in the late 1700s. A European toothbrush from 1780 used a cattle bone for a handle and bristles taken from a pig. By 1844, the European toothbrushes began to use a three-row arrangement to maximize the cleaning surface and potential. The United States can claim to be the birthplace of the toothbrush of the modern age. It was products by the DuPont company in 1938, using nylon for the bristle instead of animal hair. The early nylon bristles were very stiff. Toothbrushes in the 1950s would switch to a less abrasive type of nylon for the bristles. In the 1960s, the toothbrush would go electric and make oral hygiene much easier for people who have problems with grip strength or hand use. It may have started as a futuristic novelty, but decades later it's now more of a necessity for the elderly and those who suffer from arthritis. 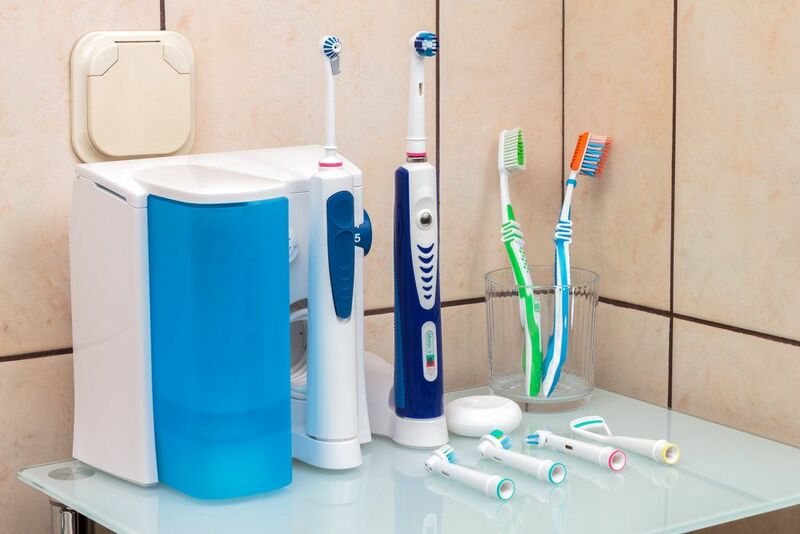 Since the mid-20th century, the toothbrush has remained relatively the same. Some changes have been made to the size of the head and the angle of the toothbrush handle, and bristles now emerge at different angles to further enhance your ability to clean hard to reach places. As dental technology continues to evolve, it will be interesting to see what happens to the toothbrush next. For more information about oral hygiene and keeping your smile looking its best, be sure to contact an experienced cosmetic and restorative dentist today. Our entire team looks forward to your visit and discussing these matters in greater detail.